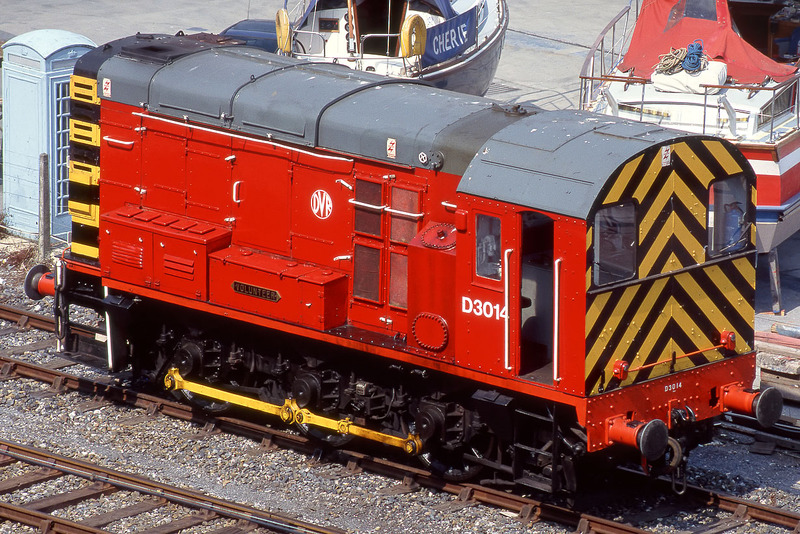 For a time in the early 1990s, the Paignton & Dartmouth Railway's D3014 Volunteer was painted in this bright red livery, predating DBS's similarly dazzling colour scheme by two decades. The colour used is actually more appropriate to the phone box seen here on the left, which is in uncharacteristic grey! The colourful shunter is pictured at Kingswear on 20 June 1992.